Fast processor: View thousands of photos and videos from your inserted device. 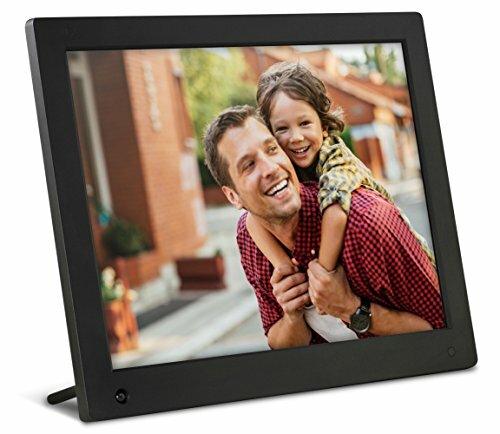 The NIX Digital Photo Frame is the simplest solution to all your digital photo needs. Just plug in your USB stick or SD/SDHC card and let your photos play. It's that easy! Every Frame includes a USB memory stick for you to put your photos and videos on. 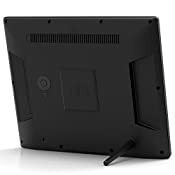 This frame is perfect for everyone from professionals, to parents and grandparents who just want a frame that works with the convenience of not having to operate it. Using the remote, manage the way your photos and videos are displayed. Choose from a variety of photo transitions, change the orientation of your photos and videos and select what photos and videos you want to play. The 'Hu-Motion' Sensor turns the frame on when you enter the room and off when you leave the room! For the ultimate convenience, set the frame to switch off after sensing no movement from 5 minutes to 1 hour. NIX is the global leading brand for Digital Photo Frames. With over 8 years of experience and a dedicated customer service team, we are committed to delivering high quality frames and services that allow you to display digital memories in a sophisticated way. To assure you of our quality and service, we give you a Full One Year Parts & Labor Warranty. 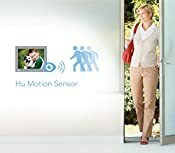 ENERGY-SAVING HU-MOTION SENSOR : Automatically turns the electronic photo frame on when you enter the room and off when you leave the room!